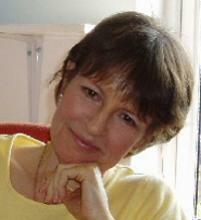 Alma Swan is a consultant working in the field of scholarly communication. She is a director of Key Perspectives Ltd and Convenor for Enabling Open Scholarship, an organisation of university managers around the world that promotes the principles of open scholarship and open science. She is also a director of the Directory of Open Access Journals and of the umbrella organisation Infrastructure Services for Open Access. Her work covers market research and business modelling, project management and evaluation, research communication practices and behaviours, and the study and promotion of new forms of scholarly communication in the age of the Web. She writes and makes frequent presentations on scholarly communication issues. She was Adviser to the World Bank and to UNESCO, as they developed Open Access policies. Alma is a Fellow of the Society of Biology and a Chartered Biologist, served three terms as an elected member of the Governing Board of Euroscience (the European Association for the Promotion of Science & Technology) and is the former editor of its online magazine, The Euroscientist. She serves or has served on many advisory boards or steering committees for scholarly communication-related initiatives, conferences and projects. Beate Eellend serves as the Programme Manager of OpenAccess.se at the National Library of Sweden. The programme promotes Open Access to the works produced by Swedish researchers, teachers and students. This is accomplished by supporting Open Access publishing in OA repositories and OA journals at Swedish institutions of higher education. She has a PhD in Ethnology. A policy advisor in the research policy unit at the Higher Education Funding Council for England (HEFCE), Ben has responsibility for policy on open access, open data, metrics, technical infrastructure and research sector efficiency. In recent years, he co-authored The Metric Tide (a report on research metrics), developed and implemented the UK Funding Bodies’ policy for open access in the next Research Excellence Framework, and supported Professor Geoffrey Crossick’s project and report to HEFCE on monographs and open access. Ben has a first class honours degree in music from the University of Southampton, and over ten years’ experience working in strategic planning, process improvement and risk management. Bernard was the Rector-President of the Université de Liège from 2005-2014, having been its Vice-rector from 1997-2005. A biologist by training, he has authored over 200 scientific publications and is specialised in virology and immunology. He is the current chairman of Wallonia Biotech Coaching s.a. and Vice-president of the Federal Council of Science Policy in Belgium. Bernard is also co-founder and current chairman of EOS (Enabling Open Scholarship), an international non-profit organisation promoting Open Access (OA) in universities and research institutions. He earned an honorary doctorate at the Université du Québec à Montréal in 2014, in recognition for his contribution to OA to scientific publications and to the promotion of OA values worldwide. Bill Hubbard works for Jisc as Deputy Head of Scholarly Communications Support and Director of the Centre for Research Communications (CRC) incorporating the work of SHERPA Services. The CRC is a recognised centre of expertise for OA development, policy, repositories and infrastructure. Bill led the development of the SHERPA Services, including the award-winning OA services RoMEO, JULIET and OpenDOAR, which are used around the world to underpin repository use and policy development. The Services also include the UK-based FACT, to support researchers in complying with RCUK and Wellcome Trust OA polices. He has also worked closely with OA publishers and advised on the transitions involved for commercial publishers from traditional to OA business models. Bill has a background in innovative developments of ICT in higher education and research and associated change management. Previous work has been in the use of Expert Systems to support decision making, designing information systems for managing research funding and a number of years integrating multimedia and ICT into university teaching and learning. Bill's commercial experience includes three years as a unit head, managing projects in virtual reality applications for communications, installations and broadcast. He has worked as a senior lecturer in Multimedia Design at De Montfort University and as an honorary lecturer in the School of Computing Sciences at the University of East Anglia. As Head of Scholarly Communications Support at Jisc, Neil is responsible for a range of Jisc work that enables UK universities to implement Open Access efficiently and effectively, reflecting the policies of UK Government and (inter)national research funders. This work includes services such as Sherpa/RoMEO (journal OA policies), CORE (global OA search and analytics) and IRUS-UK (usage statistics from repositories). He is also involved in Jisc’s negotiations with publishers to transition to Open Access without excessive cost to universities. He maintains close ties with UK research funders, libraries, research managers and domain experts. Neil has been working on Open Access for over 10 years, and in the library and information profession for over 20 years, covering policy, economic, technical and organisational aspects of scholarly communication. 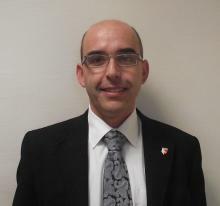 Eloy Rodrigues is the Director of the University of Minho Documentation Services. Eloy has been working on repositories and Open Access since 2003, having established University of Minho institutional repository in 2003, and being the scientific and technical coordinator of RCAAP (Portugal Open Access Science Repository) project since 2008. At an international level he has been working on various EU funded projects (like OpenAIRE, PASTEUR4OA and FOSTER) related to Open Access, and is a member of the European University Association Expert Group on Science 2.0/Open Science. Eloy is currently the Chair of the Executive Board of the Confederation of Open Access Repositories, for the 2015-2018 mandate. Eric is Open Access project manager for the Belgian Federal Science Policy Office (BELSPO) and represents his country in the Network of National Open Access Points of Reference with the European Commission and the Technology and Innovation Policy (TIP) Open Science Expert Steering Group with the OECD. 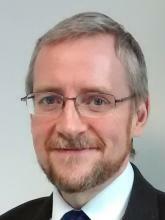 He is also a member of the European Research Area Committee (ERAC) Open Data Taskforce. Eric is holder of a Doctorate in Contemporary History from the Free University of Brussels and has been a researcher with the Brussels based Centre for Historical Research and Documentation on War and Contemporary Society before joining BELSPO in 2008 as a data-base expert. He subsequently undertook to ensure the honouring of the Federal Government's commitments regarding Open Access. The project is fourfold : the creation of a repository for 14 federal scientific institutions; the setting up of a federal Open Access policy or mandate; reporting about Belgium's progress to international organizations such as the European Commission and consulting with stakeholders and experts in and outside Belgium as well as with his peers at the regional level. Evi Sachini is the Director of the National Documentation Centre (EKT), vice-chair of the board of directors of the Greek Free/ Open Source Society (GFOSS) and member of the Board of Directors of the Greek Network for Research and Technology (GRNET). Dr. Sachini holds a PhD in Chemical Engineering from the National Technical University of Athens. She has worked at the National Documentation Centre (EKT) since 1997, as the Head of the Strategic Planning and Development Department of the organization and, since 2013, as its Director. Dr. Sachini has led over 75 development projects with a budget of over 50 million Euro that have substantially contributed to the cultivation and fostering of the Greek knowledge ecosystem. She is one of the top Greek experts in issues of strategic development of research e-infrastructures and the creation of value chains for excellent scientific and cultural content and data. Dr. Sachini has served as a national expert for and national representative to the European Commission on issues of research and innovation, digital libraries, exploitation of research results and the support of the European Research Area. As the Jisc senior open access support coordinator, Frank is responsible for undertaking a range of duties required to ensure the ongoing coordination among a range of projects centred around Jisc's open access work. He engages with internal service managers, as well as institutions and funders to raise awareness of open access and ensure that the projects respond to emerging requirements within the open access landscape. In addition to working for Jisc, he has an academic/researcher background and has been a lecturer for higher education in both the U.S. and the UK, supervising MA dissertations in English literature. Gerard Meijer is President of the Executive Board of Radboud University. A renowned physicist, he has co-authored about 375 articles in refereed scientific journals, which have been cited over 16,000 times. Since 2000, he has given over 150 colloquia and invited lectures at international meetings. In 2015, he was the chief negotiator for a new Open Access agreement between publisher Elsevier and Dutch universities. Iryna Kuchma is the Open Access Programme Manager for EIFL. The Open Access Programme has many achievements, including the establishment of more than 860 open access repositories and more than 4,000 open access journals in EIFL's partner countries. The programme also supported the development of over 80 open access policies in EIFL partner countries, opening up a wealth of new knowledge and research to the world. Iryna is a member of Directory of Open Access Journals (DOAJ) and Open Access Publishing Cooperative Study Advisory Boards, DSpace Community Advisory Team (DCAT), NDLTD (Networked Digital Library of Theses and Dissertations) Board of Directors, the Open Library of Humanities Internationalisation Committee, PLOS (Public Library of Science) International Advisory Group, and the Open Access Button Steering Committee. Iryna also chairs a Working Group ‘Repository and Repository Networks Support & Training’ in the Confederation of Open Access Repositories (COAR). In 2013, Iryna received the Electronic Publishing Trust (EPT) for Development Annual Award, in recognition of her “efforts in the furtherance of open access to scholarly publications in the developing and emerging countries”. 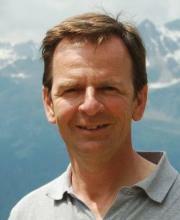 Since 2005, Jean-François Dechamp has been Policy Officer in the Directorate-General for Research and Innovation of the European Commission in Brussels, Belgium. He has helped shaping the policy related to open access and, and more recently, to copyright in the remit of Text and Data Mining activities (TDM). He has worked previously for the pharmaceutical industry and for various non-governmental organizations in the field of health and humanitarian aid. He is a Doctor of Pharmacy from the University of Strasbourg, France. Professor Jean-Pierre Finance was the President of Henri Poincaré University, Nancy-1, France from 1994 to 1999 and from 2004 to 2011. For two years (2007-2008) he was the President of the CPU (The French University Rectors Conference). Currently, he is head of the CPU Brussels office. In 2010 he was president of the cluster of the four universities in the Lorraine Region, and actively participated in the project aiming to merge these four universities into the single University of Lorraine created in 2012. For five months, Professor Finance was the Provisional Administrator of this new university. He served on the Board of the European University Association (EUA) from 2009 to 2013, and from 2011 to 2015 he was the chair of the nomination committee of this association. 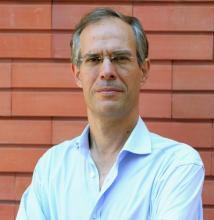 Currently he is a member of the Research Policy Working Group and Chair of the Open Access Experts Group. He is also member of the Council of the Magna Charta Observatory, as well as President of various French organizations devoted to digital publications (COUPERIN & ABES) and to digital high speed network (RENATER). Joao Nuno Ferreira was appointed General Manager at Portugal's Foundation for National Scientific Computing (FCCN) in March 2016. In 2013, he was appointed Member of the Board at Fundação para a Ciência e a Tecnologia IP, the science funding agency, where he was responsible for all ICT related activities. He has also served as President of the Board of Directors at Fundação para a Computação Científica Nacional (FCCN). Kevin J. Ellul is Director for Library Services at the University of Malta. He is responsible for the scholarly information strategy of the University through a proactive role in the digital learning and study environment, in close affinity with patrons’ needs, emergent publishing ventures, and the University’s teaching and research programmes. Kevin holds a Masters degree in Library and Information Management from Loughborough University, UK, and is particularly interested in information literacy, human information behaviour and the use of online information services within academic environments. He is the National Point of Reference on Open Access to Scientific Information, NOAD for OpenAIRE2020 and key node delegate for PASTEUR4OA. He is also a member of the Malta University Press Editorial Board, and the Chartered Institute of Library and Information Professionals (CILIP). Kim Huijpen works as a policy advisor at the VSNU (Association of universities in the Netherlands). The VSNU comprises all 14 Dutch research Universities and represents the universities towards the government, parliament, and governmental and civic organisations. Kim studied psychology at the University of Amsterdam and completed her studies with a Research Masters. Prior to joining the VSNU, she worked in various positions at Delft University of Technology. As a policy advisor at the Directorate of Strategic Development, she was (among other things) secretary of the university-wide integrity program. At the VSNU, Kim is primarily engaged in research policy. More specifically, she deals with quality assurance in academic research, academic integrity, research data management and open access to publications. Dutch universities strongly support open access publishing and have been working to achieve open access over the past few years. Within the Open Access project, Kim has been responsible for the development of definitions for monitoring open access publications together with the Dutch universities. Kim is also a member of the city council in the university town Delft. 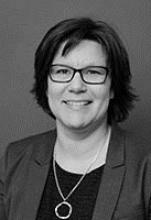 Kristiina Hormia-Poutanen is the director of Library Network Services at the National Library of Finland. The department is responsible for the coordination of national library infrastructure services for the Finnish libraries. The services include coordination of consortia activities, library systems management and development,national licensing and development of the digital library for the libraries, archives and museums in Finland. All Finnish universities, universities of applied sciences, tens of research institutes, all public libraries, Finnish museums and archives are the customers of National library. In the Finnish research infrastructure evaluations in 2008 and 2013, two of the services today in production were selected to the research infrastructure roadmap. The services were National Electronic Library, FinELib and the National Digital Library user interface Finna. The term of the updated research infrastructure roadmap is 2014-2020. Hormia-Poutanen is the president of LIBER since 2014, having served as Vice President from 2010-2014. She is a member of the Steering Committee on Scholarly Communication and Research Infrastructures under LIBER. 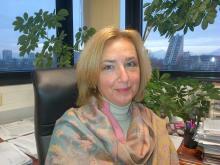 She is a member of Europeana’s Board and Executive Committee. Hormia-Poutanen is a member of the Open Science Finland strategy group, the National Digital Library steering group and the ICT Management Steering Group for the field of activity of the Ministry of Education and Culture (OpIT), which the Ministry of Education and Culture nominates. She is also member of the Public Interface consortium group and the National Ontology steering group nominated by the board of National Library. 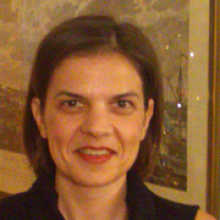 Marina Angelaki joined the ePublishing and SSH Unit of the National Documentation Centre (EKT) in 2014. She is involved in European projects relating to Open Science. She holds a PhD in Social Science from Panteion University of Athens, an MSc from the London School of Economics on Social Policy and Planning, an MSc in International and European Studies from the University of Athens. She has extensive research and teaching experience in in Greek Universities and research institutions. Meta Dobnikar started her career at the University of Ljubljana, Faculty of Natural Sciences and Engineering, where she worked as a researcher and teacher at the Department of Geology for almost 20 years. Within this time she was Chair of Mineralogy and Petrology for five years and led the Department of Geology for two years. In 2009, she became Head of the Higher education unit at Slovenia's Ministry of Higher Education, Science and Technology. In 2013 she continued her work at the Ministry of Education, Science and Sport (Science unit), becoming Head of the Science unit in July 2015.